The Pokemon Sun and Moon starters have been revealed in the new trailer from Pokemon. This entry into the hugely popular video game franchise will take place in Alola, a tropical location. The box art for both games were also revealed, showing a glimpse of the new legendaries. 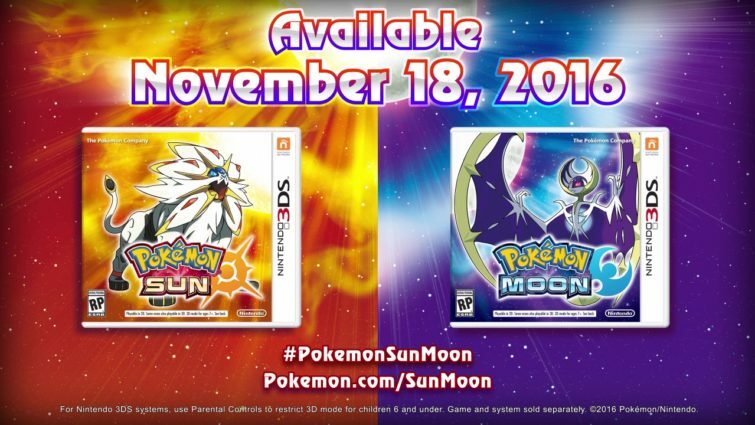 Both games will release on November 18 in the US and November 23 in the UK.